The Nationwide Insurance: Mountain Plains Agency, Inc. in Colby, KS provides the following products. To learn more about each insurance product, click on the links below. The convenience of driving is something to be enjoyed and appreciated. However, with the privilege of driving comes inherent risks and cautions. Safe driving requires you to be constantly aware of your surroundings and to be attentive and responsible. Coupled with safe driving practices, it is critical for every driver to have an effective auto insurance policy. In fact, having some form of coverage is required by law in many states. At Mountain Plains Agency, Inc. located in Colby, our goal is to provide affordable coverage tailored to your needs and the drivers in your family. Because there are so many different types of auto insurance to choose from, it can be confusing to know which ones are most appropriate for your needs. Brian Bergmeier can sit down with you to discuss your concerns and the type of coverage you have in mind. They will take the time to assess your needs to determine what combination of policies would best suit you. Whether you decide on collision coverage, liability coverage, comprehensive coverage, or another type of insurance, you can be confident you have chosen a policy that is effective and customized to meet your requirements. Additionally, Nationwide's On Your Side® Review makes it easy to determine changes that need to be made to your existing policy and modify it appropriately. Choosing an auto insurance policy that provides security for you and the people you love is an important decision. With a convenient office location on 1690 W 4th St, you don't have to travel far for trusted assistance. We look forward to helping you acquire the coverage you need when you give us a call at (785) 460-6284. Buying a home is a big step; this decision holds the key to a stable, more financially sound future. Homeowners and their families deserve the right kind of protection, which is why Mountain Plains Agency, Inc. offers comprehensive home insurance coverage. Protecting this important investment goes a long way towards ensuring that your home is there for you today and tomorrow. Enjoy knowing that you are creating a legacy that will see you through the many years to come. Brian Bergmeier is here to help you find the right coverage for your home. Our Colby agency offers personalized Nationwide insurance products that give homeowners the coverage they need. Customizing insurance solutions to your needs is part of what makes our work so valuable. We go the extra mile to make sure that your home receives the coverage it requires. The result is a policy that addresses the distinctive needs of your home, the surrounding property, and even structures like free-standing garages. If you bought your home a while back but are looking to switch to a different policy provider, the Mountain Plains Agency, Inc. team can help. 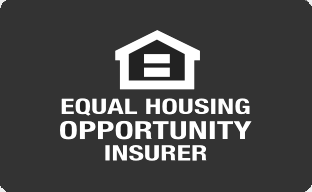 By evaluating your current needs as a homeowner we can make recommendations regarding improved lines of coverage. This is a great way to get personalized advice that speaks directly to your individual concerns. To speak with Brian Bergmeier or any other member of our team, visit our 1690 W 4th St office or call us at (785) 460-6284. We at Mountain Plains Agency, Inc. are here to help newlyweds in the Colby area. We will answer all your life insurance questions and explain in easy language term versus permanent insurance. After speaking with us, you will have a complete understanding of both whole life insurance and universal life insurance and you will know which options are best for you. Call us at (785) 460-6284 and ask for Brian Bergmeier. If you are in the neighborhood, we welcome you and your spouse to stop by our office at 1690 W 4th St,Colby,KS,67701. It may be the most important date of your life. Managing the daily operations of a business can be challenging, especially since you may wear more than one hat throughout the day. At Mountain Plains Agency, Inc. in Colby, we offer a variety of insurance solutions to help keep your business safe and secure, which leaves you with one less thing to worry about. We understand that every business has its own needs which is why we offer customizable coverage that fits your situation the best way possible. Whether it is a one-man shop or you have a number of employees, we can create a policy for you. If you are unsure about what types of coverage you may need, we are here to help. Brian Bergmeier will ask the right questions to determine what your company's needs are and make sure that you are properly protected against the unexpected. You may need business auto coverage, umbrella coverage, business interruption, or equipment breakdown insurance. You can also combine liability, property, and crime coverage into one convenient package if that works best for you. As part of our service to you, we will review your policy coverage so that you understand exactly what is covered, what your deductibles are, and what your limits are so that there are no surprises down the line. We will also perform periodic reviews and make changes as necessary, as your business grows. We know your time is valuable, which is why we make it easy to sign up for a policy. You can visit our office at 1690 W 4th St or give us a call at (785) 460-6284.